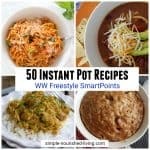 As anyone who has been following me here knows, I’m a slow cooker fanatic. But every once in a while when the mood strikes I pull out my skillet, which is exactly what I did last night to make these super simple 3-Ingredient Sloppy Joes. Classic kid food, I sometimes get an unexplained craving for Sloppy Joes, usually around this time of year. Making regular appearances on the school cafeteria menu, for some reason I associate them with cooler weather and Halloween. I think Mom must have served them once before we headed out trick-or-treating and the connection in my brain stuck. I don’t know about you, but when I want sloppy joes, I’m not interested in an ingredient list as long as my arm. We’re talking sloppy joes for goodness sake. And I don’t make them often enough to keep the canned sauce in my pantry. This Campbell’s recipe for Picante Sloppy Joes calling for two things I always have in my pantry – salsa or picante sauce (affiliate link) and barbecue sauce (affiliate link) – is a brilliant solution. These super simple sloppy joe’s have just 3-ingredients and can be whipped up in 30 minutes or less, perfect when you need to get dinner on the table with minimum effort. To keep your Sloppy Joes as light and Weight Watchers friendly as possible, be sure to use extra lean ground beef. Replace the regular hamburger bun with a sandwich thin and save 1 to 2 Points. Skip the bun and eat your sloppy joe from a bowl on a bed of salad greens or cauliflower rice and save 4 points. Bulk up the mixture by using 1/2 chopped mushrooms and 1/2 ground beef. Bulk up with additional veggies: shredded cabbage, shredded carrots, onion, bell pepper, etc. Better than canned sauce, and much easier and more flavorful than those I’ve made from scratch, this super simple 3-Ingredient Sloppy Joes Recipe is a keeper. Rod, Mom and I all liked it. 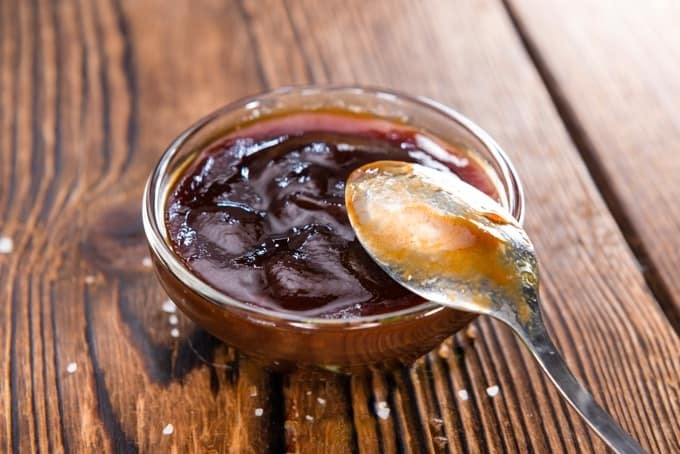 For best results, use your favorite picante and barbecue sauces. I used the leftovers to make a yummy Sloppy Joe Quesadilla for lunch. 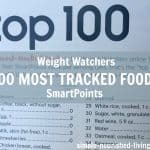 According to my calculations, each Sloppy Joe Sandwich has about 282 calories, *7 Weight Watchers PointsPlus, *7 WW Freestyle SmartPoints. 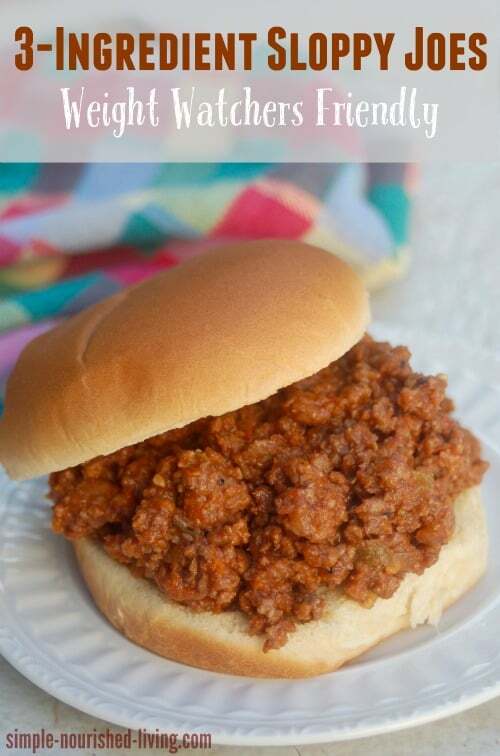 Simple and Delicious, these 3-Ingredient Sloppy Joes are a great Weight Watchers family friendly favorite with 282 calories & 8 Freestyle SmartPoints! In a large skillet set over medium high heat, cook the beef, stirring and breaking up the meat, until it is browned, 5 to 10 minutes. Add the picante sauce, barbecue sauce and green onions (if using) into the skillet. Stir to combine. Cook, stirring often, until the mixture is hot and bubbling. Divide the beef mixture evenly among the five buns. Dang! I made mine up last night. Recipe from skinny taste and, yes, a long ingredient list. I wish I had waited. These sound so much better & a heck of a lot easier. Tried this tonight- excellent and easy! My kids loved it too! Cauliflower rice is made by chopping up cauliflower in a blender or food processor until it’s really small like rice. It makes a great substitute for rice for 0 Points!! I’m working on writing a post all about it here but haven’t gotten it finished yet. You can learn more about it here: http://www.thekitchn.com/how-to-make-cauliflower-rice-couscous-cooking-lessons-from-the-kitchn-203344 Hope this helps!! Sorry LAURA,I meant to say the persons name that made the recipe. Martha. I made it today and doubled the recipe. I also used sweet baby rays which is our favorite. We really enjoyed it. Thanks for the recipe. 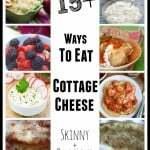 I absolutely am in total love with all of your recipes! 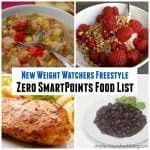 You’ve made losing weight and eating deliciously so very easy! My family loves your recipes too. 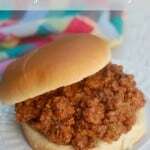 I am making these Sloppy Joe’s next week. I know you stated that it serves 5 and you divide it equally between the 5 buns but I am obsessed with measuring everything out! How many ounces per serving do you think a serving is..or is it a cup, 3/4 cup, 1/2 cup? I want to make it as accurate as I can. Thanks Martha! I understand completely. I need to get to a point where I am comfortable guesstimating. 🙂 I will start out with it being 1/2 cup but when I figure it out, I will let you know. Once again, I truly love your website. You make eating healthy easy. I love that you make eating right so delicious and so filling. 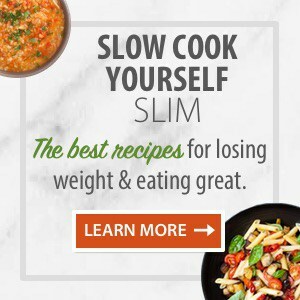 Your recipes have been a life changer for me and have really helped me stay on track. I make at least 1-2 of your recipes a week! 🙂 Have a wonderful evening! Good recipe! Even my mom liked it!! How are you getting 5 points per serving? 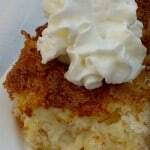 When I added it into the recipe builder I am getting 7 pts per serving. I am using ground turkey 93% lean. Could that be the difference? Hi Michelle, I didn’t get 5 points per serving. The recipe notes say I got 8 SP per serving using 95% lean ground beef. Hope this helps. 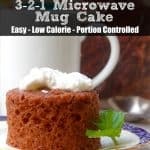 Love your recipes and so glad I found this one. Simple to make and so good. I decided to use 98% fat free ground turkey breast in place of the ground beef and it was delicious. Really good on top of cauliflower rice, thanks for that suggestion. Thank you so very much for sharing all of your wonderful recipes and for taking the time to add the nutritional information too. I have one better hamburger , onion, green peppers, and ketchup this is what we did when we were growing up . And it is great! I used your recipe last night, and we loved it! I only used 1/4 cup of the barbecue sauce rather than 1/2 cup (cuz thats all I had LOL). Still delicious, and I don’t think I really needed that extra amount at all. I love that I can use ingredients on hand to make this recipe, yet it is so easy.